Time. My day job has kept me extraordinarily busy and away from paleoaerie for a while, thus the lack of new posts here recently, so I thought now would be a good time to discuss temporal issues. Fortunately, things have calmed down a bit and I can get back to working on evolving the website. Speaking of which, it is time I got started. Time is a subject about which much has been written, especially about our perceptions of time. One of the difficulties some people have with evolution is they don’t see how small changes in a population could lead to the diversity of life we see. They read about small changes in bacteria or they hear about how the average height and longevity of people have changed in the past few decades. They understand that a wide variety of dogs have been created through artificial breeding. But, the dog is still a dog, the bacterium is still a bacterium, people have not changed in their personal experience. Unfortunately, they do not see how their personal experience misleads them. To them, the world is essentially unchanging. While human culture may change, the mountains do not move and species do not change. It is a common human tendency to assume that whatever is now has been and will always be. However, while we may think of hundreds of years as ancient history and thousands of years as vast swaths of time, they are a tiny speck of how long evolution has been altering life on this planet. So how does one get people to comprehend the incomprehensibly vast time frames we are talking about? People have tried several ways. One could always simply show them the geologic time scale. This is the standard geologic time scale used by professionals the world over, put out by the Geological Society of America. But to most people, this doesn’t really help. It is words and numbers and humans are just not that good at really getting a gut level understanding of figures like this. So many people have come up with a variety of metaphors. A common metaphor is compressing the age of the universe into a single year, a la the Cosmic Calendar, as popularized by Carl Sagan and expanded upon nicely by Arif Babul at the University of Victoria. The idea of condensing all of time into a calendar can be re-envisioned as a clock. If we extend the circular motif to three dimensions, we find another popular image in that of a great spiral of life. We could also think of time as distance. 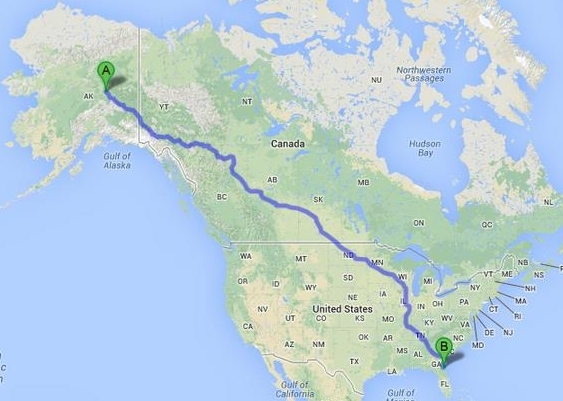 If, for instance, we decided to get in our car at the Jacksonville, FL airport and drive west and we thought of each mile being 1,000,000 years, we would have to drive to Fairbanks, AL to reach the whole age of the earth. All of human history would be passed by in less than two standard car lengths. An hour into your drive you would pass the asteroid marking the end of the Cretaceous Period and the demise of the non-avian dinosaurs. 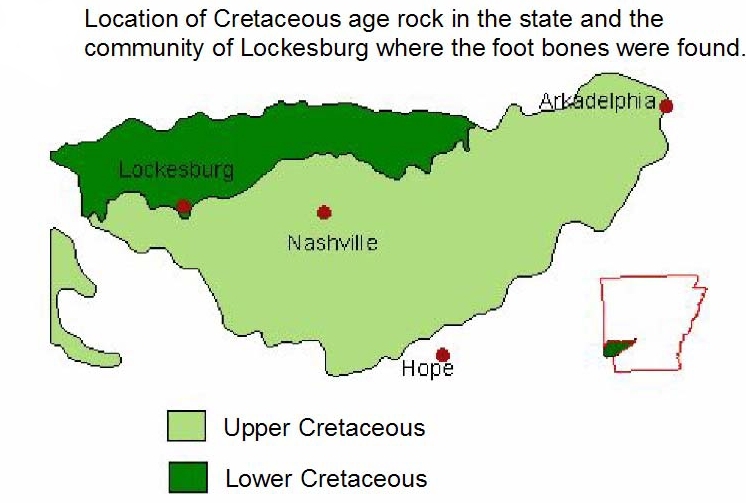 You would barely be into Tennessee before you passed the Cambrian Explosion over 500,000,000 years ago. By the time you got back to the origins of life, you would be entering the Yukon territories in Canada. But these are all static images. Perhaps you would prefer a more interactive approach, such as this interactive timeline or perhaps this one. Perhaps you would prefer an interactive in which time was expressed in terms of size. These are just a few of the ways that time spans can be visualized. Are you looking for something you can bring into a classroom that the students can touch and experiment with? Try having them build a timeline of their own. What is your favorite? Do you have other ideas? Time for another Forum Friday. Since last time, we learned that our grants did not come through, so our search for funding to expand the site continues and the teacher training programs and other events remain in the planning stages. We hope to see those ideas come to fruition, but for now, this site will continue to expand, just not at the rate we hoped. Since the last Forum Friday, we have reviewed Dr. Holtz’s Dinosaurs: the most Complete, Up-to-Date Encyclopedia for Dinosaur Lovers of All Ages, and Dr. Sampson’s Dinosaur Odyssey, both of which come highly recommended. We also learned about the Cambrian rocks of Arkansas and the dinosaurs of Arkansas. We also learned how scientists really define dinosaurs and why most people’s conceptions about what dinosaurs are is incorrect. Over on our Facebook page, we watched bacteria evolve, why saying they are still bacteria is silly, and how understanding bacterial evolution can help us clean up toxic waste. We learned about dinosaur egg-laying, how pterosaurs could fly and be so big, and Arkansas trace fossils. We saw pictures of dinosaur feathers in amber and how to identify a fossil. 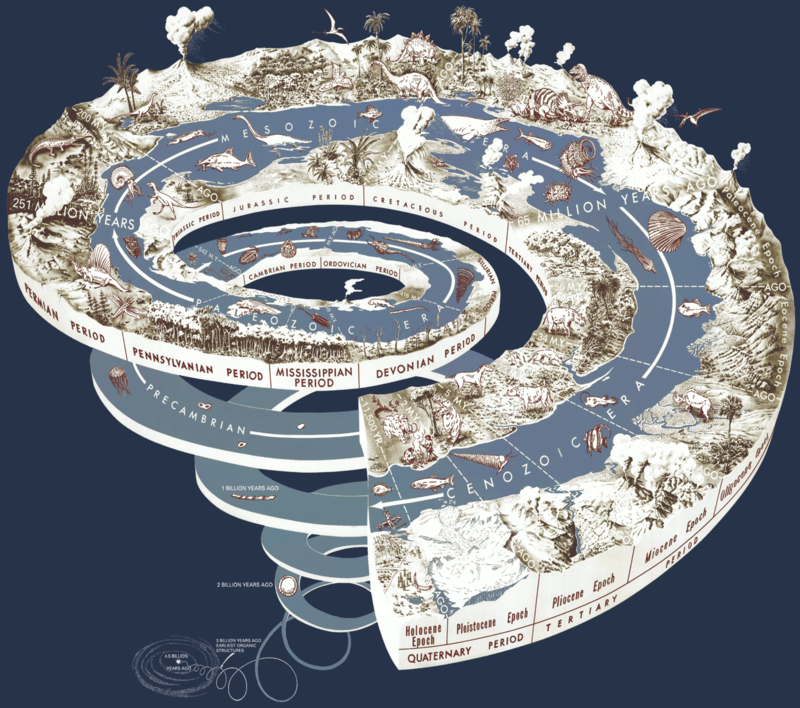 We learned the Cambrian Explosion was caused by multiple factors and what the earth in the paleozoic looked like, along with how to visualize geologic time. Speaking of new ways to look at things, we saw an evolution cartoon by paleontologist Matt Bonnan and art in science. We heard about Using rap music to teach the history of science and a song about evidence-based medicine. But we also saw why good intentions to help the oceans don’t help when you don’t know what you are talking about. Among problems in science education, we learned about unicorns and the dragons of inaction. Biology textbooks are written for pre-meds, providing short shrift for evolution and ecology. On the plus side, we also saw students fighting bad science and why generosity beats greed in the long run. We found free tech, iPad apps for the classroom, an iTunes earthviewer, online modules to teach ecology and evolution, among other topics, and educational videos for the classroom, as well as brain-training to cut through bias. We found Citizen science opportunities for the classroom. Although we had to warn against the Exploring the Environment website. We also saw why simply asking students to write scientists without oversight is wrong and some resources to help. We learned about the evolution of the avian flu, insects evolving gears, why asexual populations fare poorly, and how to breed a better cat. We saw how fish survive icy water by evolving antifreeze, adapt to puddles, and learned to walk on land. Finally, we saw that humans are still evolving and why being smart is cool. So what was your favorite story? Did you have any questions, comments, complaints? Feel free to share. When I worked at the Denver Museum of Nature and Science as a volunteer in the educations collection (if you ever get the chance to volunteer at a museum, do it, it was a lot of fun and very educational), I happened upon a man with a young boy by his side, whom I presume was his son, looking at an impressive skeleton. I thought how great it was the man took time to bring his son to the museum. But when the boy asked what the skeleton was and the man answered, “Allosaurus rex,” my opinion of the experience dropped. I’m still glad he brought the boy to the museum, but it could have been so much better. Allosaurus rex? Actually, a blue whale. Definitely NOT a dinosaur. Also, not DMNS. Really, the London Natural History Museum. Photo by author. Click to enlarge. Much has been written on what a dinosaur is and what is not, but considering the extreme levels of confusion in the general populace, I thought it worth discussing it here. Not everything that is a big skeleton and/or extinct is a dinosaur. In addition to the above whale, I have heard dimetrodons, pterosaurs, saber-toothed cats, mammoths, giant rhinos, mosasaurs, modern elephant skeletons and many other things called dinosaurs, when in reality, NONE of the previous creatures qualify as dinosaurs. So, if none of those are dinosaurs, what is? What are some of the things people think about when they try to define dinosaurs? The first thing that most people think about is a giant, scaly reptile. However, some dinosaurs were the size of chickens, so not all of them were big. Many also had feathers, so the scaly motif is not altogether correct either. They are reptiles, but unlike anything most people would consider a reptile today. Quetzalcoatlus northropi. UT Museum. Not a dinosaur either. Photo by author. Other traits people often use to distinguish dinosaurs are that none of them were aquatic and none of them flew. These aren’t really true either. Some will say they only lived in the Mesozoic Era and died out at the end of the Cretaceous Period 65 million years ago. Again, false. It is true that most animals considered dinosaurs did indeed live only in the Mesozoic Era, but not all died out at the famous K-T extinction event. Some of you may be thinking to yourselves the author has no idea what he is talking about. Nevertheless, as we will see, some dinosaurs are quite at home in both air and water, especially the ones that lived past the Mesozoic. Even if all these things were true about dinosaurs, none of it really matters. These traits are all distinguishing characteristics that are generally true about most dinosaurs, but not necessarily true about all. What defines an organism is not the same as the diagnosis. 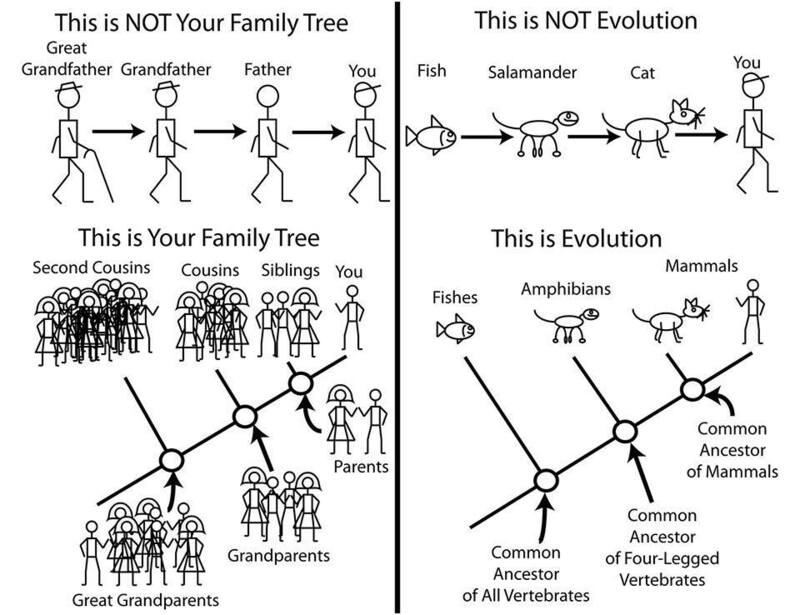 Definitions are done by evolutionary relationships. Diagnoses tell us how we can recognize them, what distinguishing characteristics can be used. However, distinguishing characteristics do not necessarily describe all the members of the group. For instance, one might distinguish all members of a family by their last name, but if people get married and change their last name, they do not suddenly stop being a member of the family. A daughter, for example, is defined by who her parents are, not by what name she has. Likewise, her distinguishing characteristics tell us who she is as an individual and can give us clues to her family relationships, but her definition as a daughter depends solely on her relationship to her parents. The discredited and completely unaccepted haemothermia hypothesis: Mammals and birds are both warm-blooded; therefore, they must be related. I.e., superficial similarities can be misleading. Image from wikipedia. I should note here that it wasn’t always this way. Back in the old days, organisms were grouped by similarity, who looked like whom, so at that time, there was really no difference between definition and diagnosis. But as people studied organisms more closely, they found that a lot of times, superficial similarities masked deeper differences, which indicated they weren’t really related at all. So for most of the last century, scientists have tried to find real, evolutionarily related groupings to build something akin to a geneology of life. To do so, it became evident that definitions and diagnoses of groups had to be different, so for the last couple of decades, definitions have been based on relationships and diagnoses based on characteristics. This system of classification by defining groups according to their relationships is called phylogenetic systematics. So, how then do we define a dinosaur? The standard modern definition of a dinosaur has been stated as the most recent common ancestor of Triceratops and modern birds and all of its descendants (Padian, 1997). Note this means that all birds are, by definition, dinosaurs. So it is obvious that some dinosaurs are quite small (e.g. hummingbirds), flew (most birds), and could reasonably be called aquatic (e.g. penguins). The reason for this is because the earliest birds are clearly closely related to animals, such as Velociraptor and its close relatives, which are indisputably dinosaurs. If one took a picture of Archaeopteryx which had no feathers to a bunch of elementary school kids and asked them to identify it, the general answer is that it is obviously a dinosaur, but put feathers on it and they call it a bird. They are thus both correct answers. Dr. Thomas Holtz has proposed a slightly different definition: the most recent common ancestor of Megalosaurus and Iguanodon and all of its descendants. Both definitions encompass the same groups of animals as far as our understanding goes, but Holtz’s definition includes the dinosaurs that were first discovered, so is considered by many to be a superior definition. Dinosaur family tree, by Nobu Tamura (paleocritti.com). Click to enlarge. 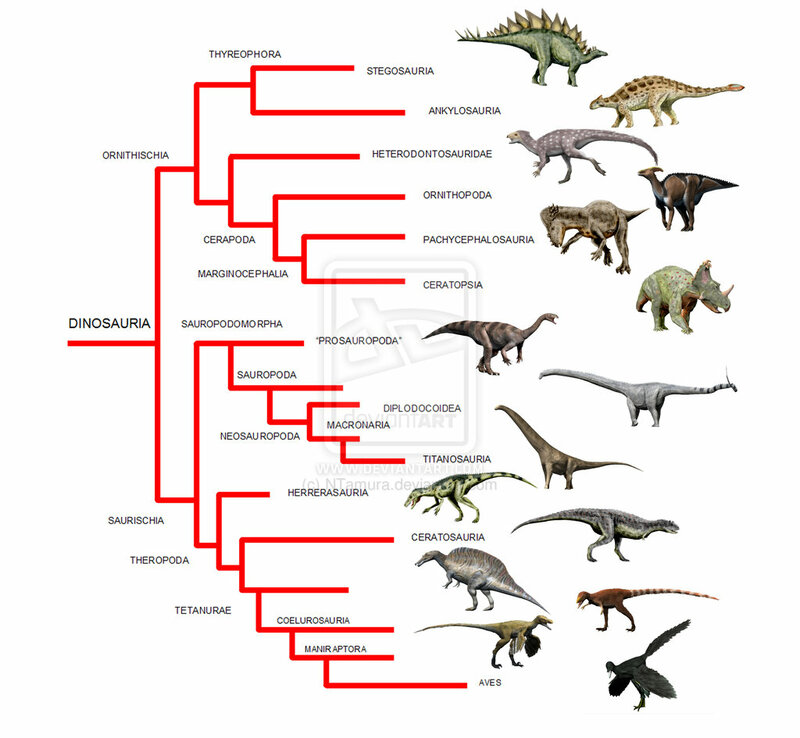 Note on trees like this, the branches can be pivoted on their branch points without changing relationships (e.g.,it makes no difference whether you say “your brother and sister” or “your sister and brother”), so anything in Saurischia is equally related to anything in Ornithischia. Thus, it doesn’t really matter what animal in each group you choose as the representative of each group as long as the groups as a whole remain intact. Unfortunately, scientists don’t always talk about these terms correctly either, making the whole process confusing. Michael Benton, a leading paleontology researcher with numerous well-respected publications, got it wrong when he defined dinosaurs according to synapomorphies in The Complete Dinosaur. While synapomorphies are used in developing modern classifications, they are used for diagnoses, not definitions of groups, which Dr. Benton assuredly knows (as evidenced by the fact he normally states it correctly in his other works), but when someone is as prolific as Dr. Benton, the occasional error is bound to slip in now and then. Synapomorphies are very important in figuring out relationships. 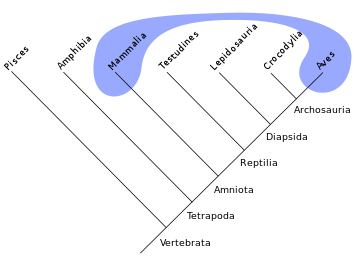 Unlike any old similarity, synapomorphies are shared, derived characteristics, meaning that the character is the same in the organisms being compared because they share a common ancestor, i.e. they are derived from the same source. Of course, because it requires knowledge of the common ancestor, synapomorphies can only be identified AFTER one has a hypothetical relationship. Thus, to discover strong relationships, scientists will create (mathematically, using a computer because it is way too complex to try doing by hand for anything beyond a few species), all the possible relationships between all the organisms under consideration and then map all the characteristics they can onto every possibility. The relationships requiring the fewest inconsistencies and providing the simplest explanation is considered the most likely. Inconsistencies can occur due to convergent evolution (organisms not closely related developing similar characteristics due to similarities in environmental constraints) or homoplasies (characteristics changing back to a previous form), but with examination of enough characteristics, good relationships usually appear. Of course, the more data you can put into the analysis, the better the results normally get, which is why we continue to study and try to find new fossils and collect more data (and who wouldn’t want more fossils?). This is all well and good, but how then do we recognize a dinosaur when we see one? Dr. Benton provided a good list of skeletal characteristics, which really won’t mean a lot to people who are not very familiar with skeletons and scientific terminology (but a basic description can be found here and Wikipedia has a surprisingly in depth description). Nevertheless, there are some generalities we can make. If we exclude birds, we can say the non-avian dinosaurs (that we know of) died out at the end of the Cretaceous Period. They all carried their legs underneath their bodies like mammals (and birds of course) and were decidedly unlike other reptiles. None were fliers, although the most bird-like ones got close, and none were aquatic, although some did indeed at least go wading. But remember, these are generalities and if we find a dinosaur with flippers, as long as it otherwise appears related to other known dinosaurs, it will still be a dinosaur. But if it does not fall within the relationships defined above, it will not be a dinosaur, no matter how much it may look like one. I don’t have an online source for the Padian article, so here is the reference. Padian, K. 1997. Dinosauria: Definition. pp. 175-179. In Currie, P.J. and K. Padian (eds.) Encyclopedia of Dinosaurs. Academic Press. Dinosaur Odyssey: a Journey You Should Take. September 5, 2013 10:00 pm / 1 Comment on Dinosaur Odyssey: a Journey You Should Take. Publication date 2009 (hardback) 2011 (paperback). 332 pg. University of California Press. ISBN: 978-0-520-24163-3. Suitable for junior high students and up. Author: Dr. Sampson is best known these days as Dr. Scott the Paleontologist, from Dinosaur Train on PBS KIDS (a children’s show I can recommend). But he doesn’t just play one on TV, he is a real-life paleontologist, and a well-respected one at that, best known for his work on late Cretaceous dinosaurs in Madagascar and the Grand Staircase-Escalante national Monument. He is Chief Curator at the Denver Museum of Nature and Science. He has a blog called Whirlpool of Life and can be found on Facebook. Dr. Sampson has had a longstanding interest in public science education, particularly about connecting children with nature. That interest is clearly evident in Dinosaur Odyssey. This book has been out a few years, but its main message is more deeply relevant now than ever before. This book is not really about dinosaurs. It is about the interconnectedness of all things. Dinosaurs are simply a fascinating hook for discussing ideas about evolution and ecology. If you are looking for a book that just talks about dinosaurs, look elsewhere. But if you want a book that puts dinosaurs in context as part of a complete and ever-changing ecosystem, if you want to learn about the Mesozoic world as a stage upon which dinosaurs are only a part, however awe-inspiring and prominent, of a much larger web of life, this book is for you. 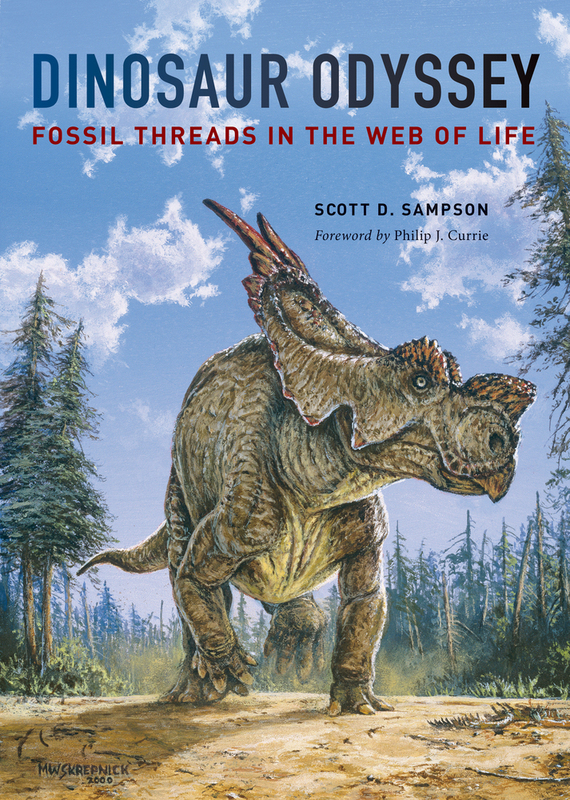 In Dr. Sampson’s hands, dinosaurs are not skeletons of bizarre creatures, they are living organisms interacting with others, changing and being changed by their environment. In a similar vein, our ideas about them are neither set in stone nor idle speculation, they are dynamic and changing, based on new discoveries and scientific understanding, circling ever closer towards a deeper understanding. The book is written for someone with decent reading ability, but not a dinosaur aficionado. No real prior scientific knowledge is required, simply a desire to learn about the natural world. For those who want more, or find some of the terminology daunting, there is a wealth of notes and references at the end, along with a substantial glossary. The book begins with a short history of the scientific study of life and Sampson’s personal experiences searching for dinosaurs in Madagascar, which led to some of his thinking for the book as an introduction to what follows. Throughout the book, he uses his personal experiences to enrich the scientific discussions, making it a personal story, not just an academic one. Chapter two is an ambitious glimpse at the history of the universe until the dinosaurs appear, along with a short discussion of the geological principles forming the foundations of our understanding of geologic time. Chapter three introduces the dinosaurs, defining what is meant when a scientist talks about dinosaurs and the different groups of dinosaurs. Along the way, he discusses what species are, how they are named, and how we figure out relationships, although not in detail, just enough for a non-science person to understand the broad concepts. Chapter four discusses the physical world of the Mesozoic in terms of plate tectonics and how the movement of the continents shaped the world and thus the evolutionary history of dinosaurs. He even discusses the role of the atmosphere and oceans in climate. Chapter five builds the basics of ecosystems and nutrient flow, chapter six provides a background in evolutionary theory, chapter seven discusses how dinosaurian herbivores adapted to changing plant communities and how the dinosaur and plant communities may have co-evolved, each influencing the other. Chapter eight adds predators to the mix and chapter nine finishes the ecological chain with decomposers. Chapters ten and eleven discuss sexual selection and metabolism in dinosaurs. Michael Skrepnick contributed several paintings for the book, such as this one of Daspletosaurus attacking an Einiosaurus herd. The chapters to this point built up how dinosaurs fit into the ecosystem and the workings of evolutionary theory. The next three chapters then take that information and discuss the dinosaurs rise to prominence in the Triassic, development of dinosaur ecosystems in the Jurassic, and their ultimate development through the Cretaceous period. Chapter fifteen, as might be expected, discusses the extinction ending the Mesozoic Era and the dominance of dinosaurs as major players on the world stage. One might think the book would end at this point. But Sampson has one final chapter to go, which is probably the most important message in the book. He finishes the book by discussing why dinosaurs are important today. We are facing an extinction event equal to the end of the Cretaceous in terms of biodiversity loss, yet few people seem to notice just how comparatively depauperate our global ecosystems are becoming. Because dinosaurs draw peoples’ attention, they are the perfect tool to discuss evolutionary and ecological issues. In this chapter, Sampson discusses how to use dinosaurs to reach people and teach them about our own ecosystems, how we are affecting it and the problems we are facing. In this way, looking at our past through a dinosaurian lens can help us find our way forward. In the final analysis, this book is a must-read for anyone interested in the natural world and how it works, especially if they love dinosaurs. Ordinarily, I would not delve into how a fossil was found here, but because Arkansaurus is unique and illustrative of how many fossils are brought to the attention of science, a brief synopsis of the story of how it was brought to the attention of science may be of interest. In August, 1972, Joe Friday was searching for a lost cow on his property near Lockesburg in Sevier County, when he found some bones eroding out of a shallow gravel pit. He showed them to a Mr. Zachry, whose son, Doy, happened to be a student at the University of Arkansas in Fayetteville. Doy showed the bones to Dr. James H. Quinn, a professor at UA, who identified them as part of the foot of a theropod dinosaur. 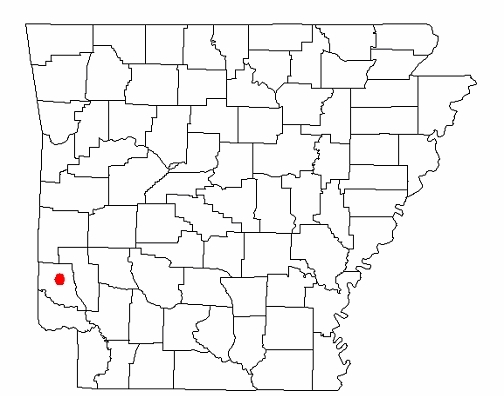 He contacted the Arkansas Geological Survey and Dr. Quinn, Ben Clardy of the AGS, and Mr. Zachry went back to the site where they found the rest of the bones. Dr. Quinn presented the bones at a meeting of the Society of Vertebrate Paleontology where he discussed the bones with Dr. Edwin Colbert, a noted paleontologist who was an expert in dinosaurs and vertebrate evolution. They came to the conclusion that the bones probably came from some type of ornithomimid, a group of ostrich-like dinosaurs (the name literally means bird-mimic), one of which, named Gallimimus, was made famous in Jurassic Park. Despite further excavations, no additional bones have been found. Dr. Quinn never officially described the bones, publishing only an abstract for a regional meeting of the Geological Society of America in 1973. It remained for Rebecca Hunt-Foster, now a paleontologist for the Bureau of Land Management, to publish the official description 30 years later in the Proceedings Journal of the 2003 Arkansas Undergraduate Research Conference. So why only one foot? What happened to the rest of it? I’ll let Rebecca Hunt-Foster explain it, as she did an excellent job: “There are several possibilities that would explain the occurrence of a single foot at the Friday site. It is a possibility that the rest of the Friday specimen could be gravel on highway 24. Road crews could have cut into the Trinity Group (Ed. Note. The rock formation in which the bones were found) when excavating the Quaternary gravel that lies directly above it, when building the road in 1954. As another theory, the animal may have begun to decompose before its body was carried by water to the site of deposition. Consequentlly, bits and pieces could have been scavenged by predators in the Lower Cretaceous, resulting in only a single foot remaining for preservation. Finally, it is possible that the entire specimen was preserved but that most of the skeleton was lost to Pleistocene erosion.” So just think about that the next time you go driving down the road. What fossils might you be driving upon? Even if we don’t know for sure what it is, we do have some clues and can narrow down, at least a little, what it might be. What we know for sure is that it is some kind of coelurosaur. That, unfortunately, doesn’t help us a lot because coelurosaurs cover everything from little compsognathids to giant tyrannosaurs to modern birds, known principally for having bigger brains than earlier theropods, slender feet with three toes, and many of them had feathers. It does tell us it is not closely related to dinosaurs like allosaurs and spinosaurs, nor to early theropods like ceratosaurs and Coelophysis. Dr. James Kirkland opined that it was similar to Nedcolbertia, a small coelurosaur found in Utah. The problem here is that no one knows much more about Nedcolbertia either and its relationships to other dinosaurs are unclear. Quinn and Colbert thought it may have been an ornithomimid, but closer inspection by Rebecca Hunt-Foster and comparison with known ornithomimids indicates this is unlikely. Right now, all that can really be said is that it is likely a small coelurosaur, but not a tyrannosaurid, ornithomimid, or advanced form more closely related to birds, which leaves a small group of poorly known coelurosaurs no one really knows what to do with. Using these animals as a comparison, what can we say about what kind of animal “Arkansaurus” was? It was likely a fast runner with probably an omnivorous diet, eating smaller animals and supplementing its diet with plants. It would likely have stood somewhere between 2-4 meters (6.5-13 feet) tall. It would have looked something like an ostrich with long arms ending in hands with three functional fingers, with one of them being at least semi-opposable, and a jaw filled with small teeth. If it had feathers (which seems increasingly likely), the feathers would have looked more like fur than the large feathery plumage seen on ostriches today. It would also have had large eyes like ostriches, with excellent color vision, based on the fact that its nearest living relatives, crocodilians and birds, all see a broad spectrum of colors (even better than humans). The rocks the bones were found in were part of what is called the Trinity Group. These rock layers (or strata) consist of layers of sand, clay, gravel, limestone, and gypsum laid down in the Early Cretaceous Period, roughly around 100-120 million years ago (what is known as the Albian and Aptian Ages). The rocks indicate that during the time the rocks were formed, the environment was a shallow marine coastal area not unlike south Texas near the Rio Grande or in the Persian Gulf. Our dinosaur would certainly not have been alone. There were other dinosaurs in the vicinity, we just know very little about them. 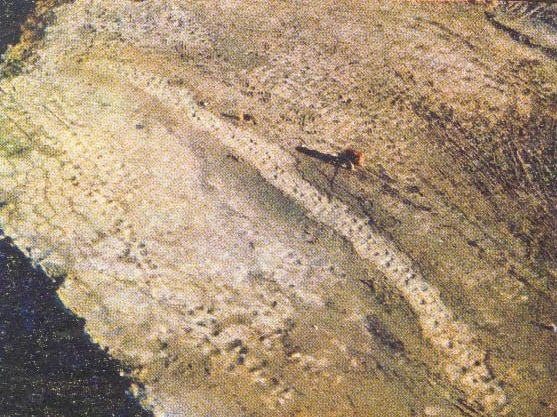 Sauropods left thousands of tracks in the coastal sediment forming a massive trackway found in a Howard Country gypsum mine in 1983. Another trackway found in 2011 has tracks from sauropods such as Pleurocoelus and Paluxysaurus (which may or may not refer to the same species and may or may not also be called Sauroposeidon) as well as tracks from what was probably the giant theropod Acrocanthosaurus. Most of the information and images in this post not directly linked to came from the following sources. Many thanks to Rebecca Hunt-Foster for clean pictures from her paper, which she also graciously supplied. Hunt, ReBecca K., Daniel Chure, and Leo Carson Davis. 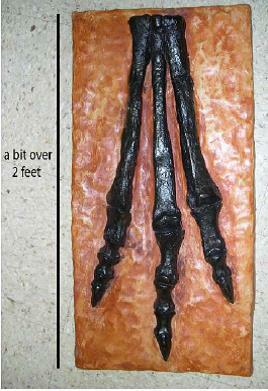 “An Early Cretaceous Theropod Foot from Southwestern Arkansas.”Proceedings Journal of the Arkansas Undergraduate Research Conference 10 (2003): 87–103. Braden, Angela K. The Arkansas Dinosaur “Arkansaurus fridayi”. Little Rock: Arkansas Geological Commission, 1998. The top image is a Leo Cate T. rex. Photo by Debra Jane Seltzer, RoadsideArchitecture.com. 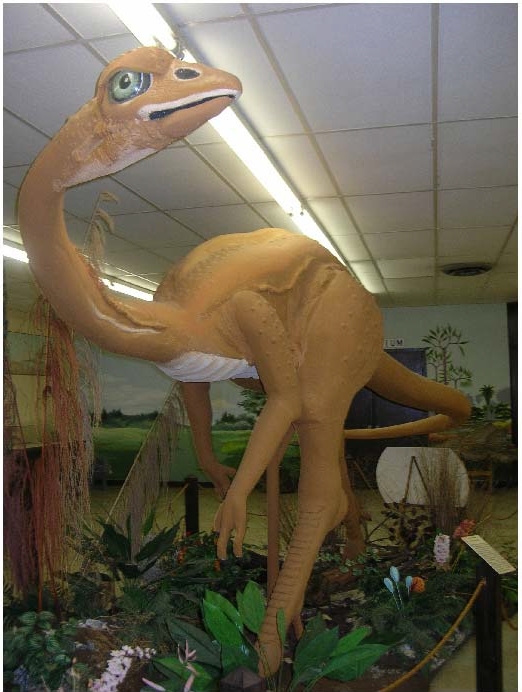 UPDATE: Arkansaurus has recently been named the Arkansas official state dinosaur, reviving interest in the fossil. 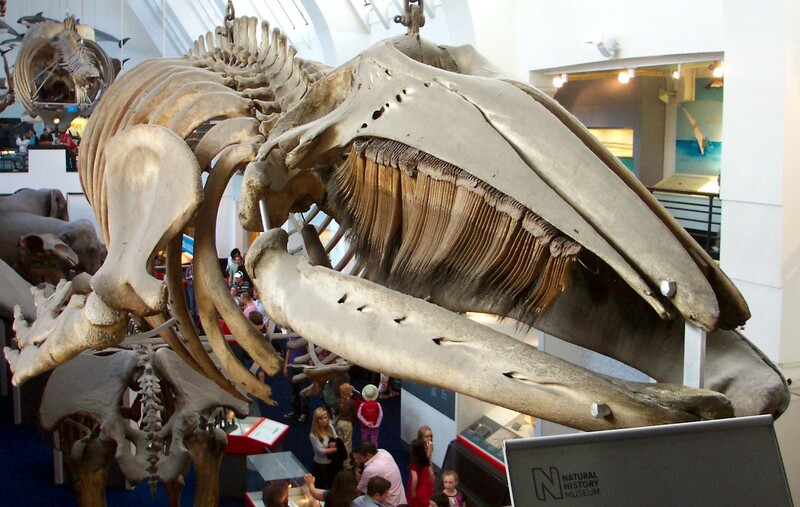 It is currently being re-examined by Dr. Rebecca Hunt-Foster, with the hopes that new fossils and information that has come to light since her last publication will provide a more refined determination of its relationships.